The flourishing of Israeli dance in the last decade, among Israeli creators and performers, is not self-evident. Decades have passed until a combination of creativity and technical ability came to fruition. In this article I will focus on one chapter in the history of dance in Israel. The period in question, beginning in 1964 (the year Batsheva Dance Company was founded), was characterized on one hand by lack of belief in the creative abilities of Israeli choreographers, and on the other hand by an immense improvement in the dancers’ abilities and in the professionalism of performances. It ends in 1977, when fringe performance clearly made a breakthrough into dance in Israel. 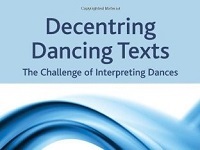 It is the time period in between the pioneering period, identified with the Ausdruckstanz dance style, and the beginning of the ‘Other Dance’, performed outside the framework of leading dance groups. In the forty years (1920-1964) of pioneer artistic dance in Israel in the Ausdruckstanz dance style – from Baruch Agadati to the founding of the Batsheva Dance Company – emphasis was placed on creativity and personal expression. During that time dozens of individualistic creators performed solo or with groups of students. Technical competence was secondary to creativity and to the search for a personal idiom in movement. These were the first years of modern European dance, and teaching methods for modern dancing techniques were still non-existent. Capability was mainly natural – musical talent and flexibility. Technical training consisted of various forms of gymnastics accompanied by music. Emphasis was placed on stage persona and on creativity. The beginning of change became apparent in 1956, when Martha Graham first came to Israel with her company. The tour, arranged by Graham’s patron Bethsabee de Rothschild, resulted in the rejection of the Ausdruckstanz style by the dance community in Israel, who came to see it as “the dance of amateur dancers, whose technical abilities were poor, and who danced their feelings in an exaggerated manner”. Students started abandoning the studios of artists identified with the Ausdruckstanz style in favor of Rina Shaham`s and Rena Gluck’s studios – new immigrants from the United States who were the first to teach modern American dance in Israel. Israeli dancers traveled to New York, mainly to Graham’s school and to the Juilliard Dance School, in order to study the new style. In 1964, Bethsabee de Rothschild founded the Batsheva Dance Company, which was based on Graham’s style. This date may be viewed as the end of the Ausdruckstanz dance era and the beginning of a new era – dance influenced by modern American dance. This change also transformed the dance map of Israel. Instead of a proliferation of recitals and small groups of local creators, professional companies were established in the 1960s and 70s. (1) Three years after Batsheva Dance Company was founded in 1964, de Rothschild founded the Bat-Dor Company. In 1977 the Israeli Ballet Company was founded by Berta Yampolsky and Hillel Markman, and in 1971 the Kibbutz Company was founded, with Yehudit Arnon in management. In 1975 Moshe Efrati left the Batsheva Dance Company and founded the KolDemama Dance Company. Of these, the leading companies were Batsheva and Bat-Dor. The Baroness’s generous financial backing enabled them to set high standards of artistic production, while other companies had to make do with poor budgets. Artistic standards for performance and production reached a respectable professional level. Tours abroad placed Israel on the international map. Teaching standards also improved: alongside the Bat-Dor Company a professional dance school was established, where excellent teachers from abroad were invited to teach. The curriculum focused on the Graham style technique of modern dance, classical ballet in the R.A.D. (Royal Academy of Dancing) method, and Jazz in Alvin Ailey and Louis Luigi’s style. Generations of well-trained dancers graduated from that school, but no attention was paid to studying composition and the elements of movement. While things improved in the technical field, the change described also brought about an end to local creativity. The negative attitudes towards the Ausdruckstanz dance style resulted in an emphasis on technical prowess. Feelings of inferiority regarding creative abilities were so great, that only choreographers from abroad were believed to be professional enough to work with professional companies. Choreographers of the Ausdruckstanz style were not allowed to work in leading companies, and gradually ceased working altogether. Only some of Batsheva’s and Bat-Dor’s dancers were given the occasional privilege of creating a dance. Thus, all professional activities, both in performance and in creation, took place within the framework of institutionalized companies. A dancer who had not made it into one of these companies could not have an independent career, and certainly could not develop as a choreographer in a professional company. The leading companies – Batsheva and Bat-Dor – competed over the number of premières and choreographers imported from abroad. In 1964-1977 Batsheva presented 88 dances,(3) of which less then a third were created by Israeli choreographers. Some of the choreographers from abroad were considered to be the top creators of the time, including Martha Graham, José Limón, Glen Tetley, Talley Beatty, John Cranko, Robert Cohan and Jerome Robbins. Their willingness to present their works with the young companies raised the latter’s reputation and was a challenge to artistic performance. But among the foreign choreographers were also some who have long passed their peak, as well as young creators who used the companies for gaining experience. Bat-Dor’s artistic director was Jeannette Ordman, a ballet dancer who had immigrated to Israel from South Africa. In 1968-77 the company presented 89 dances. 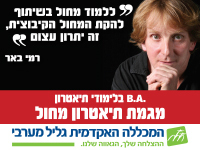 (6) In both Bat-Dor and Batsheva the ratio was of one to three in favor of creators from abroad, and the only Israeli creators who were allowed to create for these companies were those who had already proved their abilities abroad. Domi Sofer-Reiter, who had created for non-Israeli companies, including the Irish and Scottish Ballet Companies, created four dances for Bat-Dor (1964-1977). American choreographer Gene Hill Sagan, who lived in Israel for a few years, created for Batsheva, Bat-Dor, The Kibbutz Company and The Israel Ballet. (7) Mirali Sharon created works for Batsheva and Bat-Dor after dancing for Alwin Nikolais and Murray Louis. Sharon, who had her own company in New York in the late 60s, enriched the companies’ repertory with works reflecting the new experimental spirit. She claimed that Israeli companies should also collaborate with Israeli musicians and set designers. During the Kibbutz Company’s first years, most of its creators were Israeli and, unlike Batsheva and Bat Dor, not dancers in the company. Among them were Yehudit Arnon, Ofra Achmon, Hermona Lynn, Hedda Oren and Oshra Elkayam-Ronen. The first three were identified with the Ausdruckstanz dance style. The company’s reliance on local talent stemmed from ideological reasons – the wish to develop local creation and the commitment to encouraging creators who were Kibbutz members – but was mainly the result of being unable to finance choreographers from abroad. We should bear in mind that during the first half of the 1970s all the dancers in the company were still Kibbutz members. They could not rehearse daily, as they had to divide their time between dance and work on the Kibbutz. The technical level was therefore poor, and the company was considered to be amateurish. (8) Its reliance on local choreographers was viewed as pertaining to its low status at the time. The Israel Ballet reproduced pieces from the classical repertory. Berta Yampolsky had not yet started to create herself, and despite the Ballet’s poor budget some choreographers were invited from abroad to create for it, among them French choreographers Janine Charrat and Joseph Lazini. Unlike The Israel Ballet, which was a repertory company, only Moshe Efrati created for the KolDemama Dance Company. His was an exceptional case, a dancer/choreographer who left an institutionalized company to found his own company. In those years his works were famous mainly for the combination of hearing and non-hearing dancers in the company. Sarah Levi-Tanai was practically the sole creator for the Inbal Dance-Theater, an artistic dance company based mainly on local and Yemenite ethnic themes. Outside the professional companies, there were some attempts by local creators to develop their own projects, among them Rina Shaham and Naomi Aleskovsky (Tyre and Jerusalem, 1968) in Tel Aviv. There were also several attempts at founding semi-professional companies, which presented only a few performances. Their style was not much different from that of the professional companies, but the production and performance levels of these companies, who operated without any financial support, were significantly lower. There were also several such endeavors in Haifa: Oshra Elkayam-Ronen founded The Dance Theater (1967-1968), I founded the Haifa Chamber Dance Group (1968-1970), Lia Schubert and Kaj Lothman founded the Dancers’ Stage (1970-1975), followed by establishment of The Haifa Piccolo Ballet by Schubert (1975-1980). In Jerusalem, Hassia Levy-Agron founded the Jerusalem Group of Contemporary Dance (1963-1978). The Chamber Dance Group performed dance suites, composed by Noa Eshkol in the Eshkol-Wachman Movement Notation. All these groups worked on their programs for months, and presented only a few performances that got very little attention from the media. Many young dancers knocked on the doors of professional companies, the favorites being Batsheva and Bat-Dor. The Kibbutz Dance Company was only open to Kibbutz members, KolDemama focused on projects with hearing and non-hearing, The Israel Ballet presented ballet works (as there were still no good Israeli classical ballet dancers, most of its dancers were immigrants), and the Inbal Dance-Theater focused on ethnic dancing. Thus, young dancers seeking a professional stage flocked toward Batsheva and Bat-Dor, who were unable to answer the demand. The second half of the 1970s saw the beginning of change. As in the 1960s, young dancers went abroad to study, but their goals were different this time. In the 60s, they wanted to study the Graham method in order to dance in professional companies when they returned. Now, most youngsters traveled in order to develop as choreographers and to study the new post-modern trends in dance. There were several reasons for that shift in aims: The Bat-Dor dance school had opened, training professional dancers and enabling them to acquire good technique. 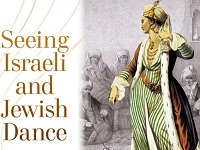 There was also wider recognition of the fact that Israeli dance was falling behind global innovations, accompanied by a growing hunger for dance other than the modern American one, identified with Graham and her colleagues. In addition, there was no place in Israel for studying choreography, and the negative attitudes toward Israeli choreographers contributed to their wish to study and create in a supportive environment. In the mid-70s a group of young female choreographers returned to Israel, among them Rachel Cafri, who had studied with Merce Cunningham, and Hedda Oren who had studied with Alwin Nikolais and Murray Louis. Ronit Land returned from Britain after attending a course for young choreographers in the New Dance style (the name given in Britain to post-modern dance), Ruth Ziv-Eyal had been a dance and theater student in the New York University, director Rina Yerushalmi had worked with La Mama Theater in New York, Sharon Pinsley, a former dancer in Limon`s company, immigrated to Israel, and director Miri Magnus returned after studying with Peter Brook in France. In 1976 Ziv-Eyal created Secret Places - the first Israeli creation in Movement-Theater style. A year later, my own dance recital was performed, presenting works in the “Other Dance” style (as post-modern dance and movement- theater were dubbed), including the works The Scarecrow by Ziv-Eyal, People Like Lines by Land, Interior and Exterior Space and Broken Lines by Oren and Portrait of a Demagogue by Cafri – all created specially for me. During that same year, Ziv-Eyal presented Remembered Headings and Rebound in the Beit Zvi School for Acting. In 1977 Batsheva II presented works considered to be avant-garde at the time: More Fields by Cafri, Mudras by Land, Details Add Up by Oren, Precipice by Pinsley, and Sense of Flight by Laurie Freedman. Dancer and choreographer Rachel Cafri presented an evening of her own works. A year later Rina Schenfeld presented the recital Threads (1978). In the Batsheva II Company Miri Magnus created Me in Myself in Movement-Theater style, and Oren created Sound and Dance – a performance for singer (Adi Etzion) and dancer (Ruth Eshel). Alongside the first Other Dance recitals, which can be viewed as the beginning of fringe dance in Israel, Batsheva II functioned as an artistic framework that raised avant-garde creators’ expectations. The company was founded in 1977 as a subsidiary of Batsheva. Young dancers and creators were eager to join it, and most of the works created in the first two years of its existence were experimental, some of them in the post-modern and movement-theater styles. The young company announced its aims as follows: a) to be a home for professional young choreographers, musicians, designers and dancers. Emphasis would be placed on work in workshops; b) to function as a reserve of dancers for Batsheva. The young company’s artistic direction was unclear from the start, and the choice of Rina Shaham and Rena Gluck as Artistic Directors – both leading dancers and teachers identified with the Graham style – did not bode well for the realization of the company’s experimental purpose. After a year of continuously postponing performances, Giora Manor wrote: “I have recently had the opportunity to watch Batsheva II rehearse. Rehearsals only, since for some reason its works have not yet been presented to the interested public. It is difficult to understand the reasons for this fear of exposure. The very idea of an experimental stage is to enable a meeting between a creator or a performer and those interested in their art, with no prior obligations, no ‘seal of guarantee’ that would promise a ‘fair return’ on the entrance fee.”(10) After a year’s work, the company finally gave a performance in its studio. The lighting was designed by Judy Kupferman and Neta Gelfman, both theater students at the Theater Department of the Tel Aviv University. A large audience attended the performance, and media coverage was favorable. In the beginning of the 1980s, local creators became disillusioned with the idea that avant-garde can be created in professional companies. Following the disappointment with Batsheva II, avant-garde projects were worked on outside the establishment. At the same time, professional companies supplied local creators with more opportunities than before. In the beginning of the 1980s there were many fringe creators, such as Ruth Ziv-Eyal, Rachel Cafri, Hedda Oren, Ronit Land, Ruth Eshel, Dorit Shimron, Sally-Ann Friedland, Nava Zuckerman, Oshra Elkayam-Ronen, Mirali Sharon, Yaron Margolin, Flora Cushman (The Jerusalem Dance Workshop), Dalia Lau and Silivia Doran (Spanish Dance), Tamara Mielnik, The Tamar-Ramle Dance Company (consisting of former Batsheva dancers among them Amir Kolben), Yossi Tamim, Tami Ben-Ami, The Magma Dance Group (Or Bagim, Rina Badash and Diti Tor), Merav Simri, The Haifa Ballet (directed by Adam and Ilana Pasternak) and others. Experimental dance and fringe activities were encouraged and legitimized by the example of innovative dance companies, which arrived in Israel and raised public interest in post-modern dance. In 1977, Merce Cunningham and Carolyn Carlson came to Israel. In 1981, Meredith Monk, one of the main figures of metaphorical post-modern dance, taught a workshop for dancers and actors. Kay Takei, also a principal figure in metaphorical post-modern dance, presented her work Light (1982) with the Kibbutz Dance Company. In 1982 Pina Bausch first came to Israel with Wuppertal Tanztheater. In 1984 the “Shades in Dance” enterprise was established by Yossi Frost, Director of Omanut La`Am (Art for the People), promoted by Elyda Gera and Gideon Paz. Its aim was to encourage original creation and to focus public and professional attention on new creations and creators, who are not necessarily active in established dance companies. This article was published in Dance Today, no.6 September 2001. 1. Inbal Dance-Theater was the first dance company to become institutionalized (1949). 2. Ruth Eshel, ‘Is There Life Outside the Company?’ Israel Dance, 1983, pp. 23-24 [Hebrew]. 3. See Batsheva’s repertory list, Israel Dance, No. 4, October 1994, pp. 96-101 [Hebrew and English]. 4. Ruth Eshel, An Interview with Batsheva de Rothschild, Tel Aviv, January 1989. 5. See Ruth Eshel, ‘The Batsheva Company and its Israeli Choreographers,’ Israel Dance, No. 4, October 1994, pp. 84-92 [Hebrew]. 6. See Bat Dor’s repertory list, Dance Now, No. 2, July 2000, pp. 78-81 [Hebrew]. 7. Gene Hill Sagan’s ashes are buried in the Kibbutz Dance Company’s yard in Kibbutz Ga’aton. 8. See Ruth Eshel, ‘The Pre-History of the Kibbutz Company,’ Israel Dance, No. 9, November 1996, pp. 77-86 [Hebrew]. 9. ‘Dance in Israel, 1980,’ Israel Dance, 1981, p. 8 [Hebrew]. 10. Giora Manor, ‘What’s Going On at Batsheva II? – The Essence of an Experiment,’ Al HaMishmar, 12 May 1977 [Hebrew]. 11. Ronit Land, ‘Batsheva II as an Experimental Company,’ Israel Dance, 1977, pp. 13-15 [Hebrew]. 12. Ruth Eshel, Interview with Nira Paz, May 1990, Tel Aviv. 13. Most programs were intended for school performances. The company closed with a whimper in 1987. 14. Giora Manor, ‘The State of Dance in Israel, 1980,’ Israel Dance, 1981, p. 7 [Hebrew].